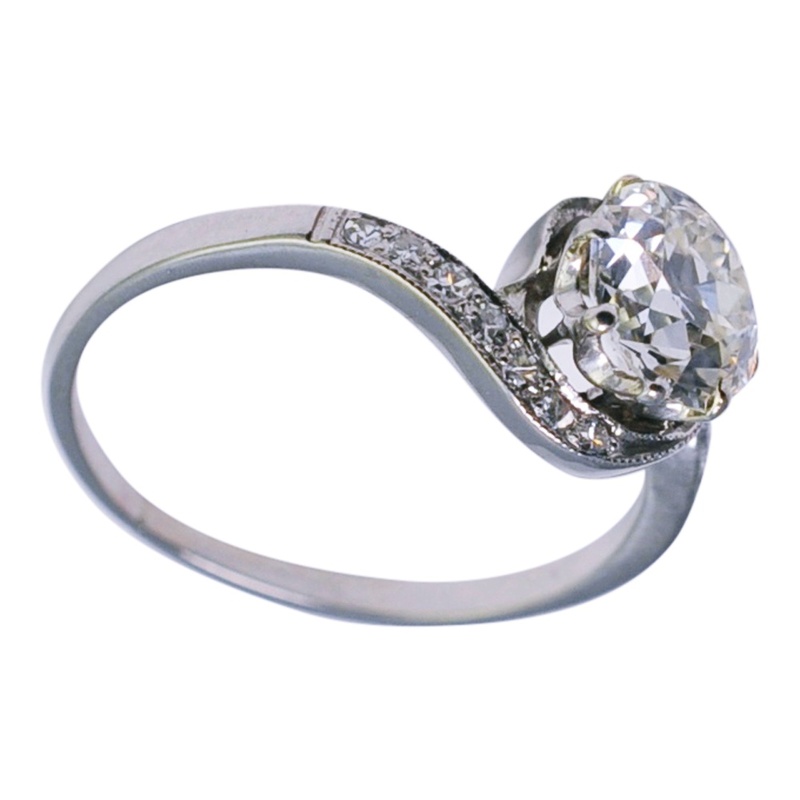 Antique 1920s platinum and diamond engagement “Tourbillon” ring with matching platinum wedding ring. 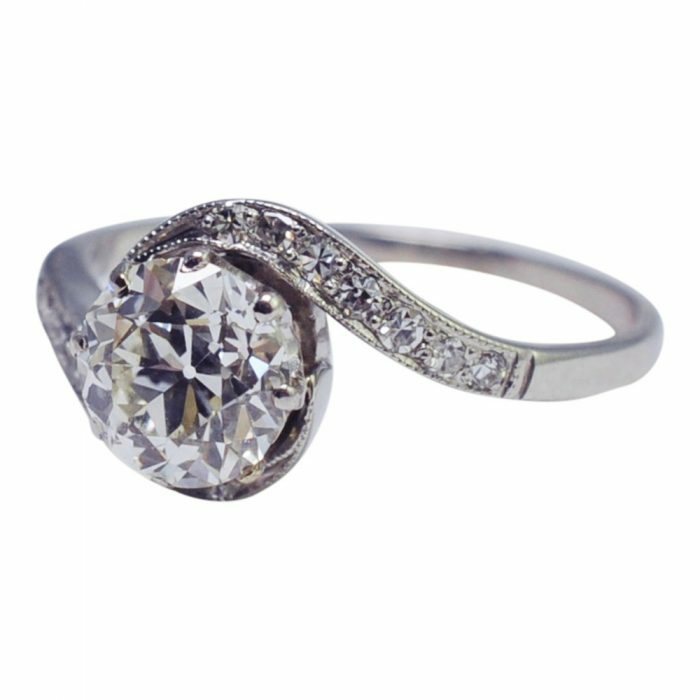 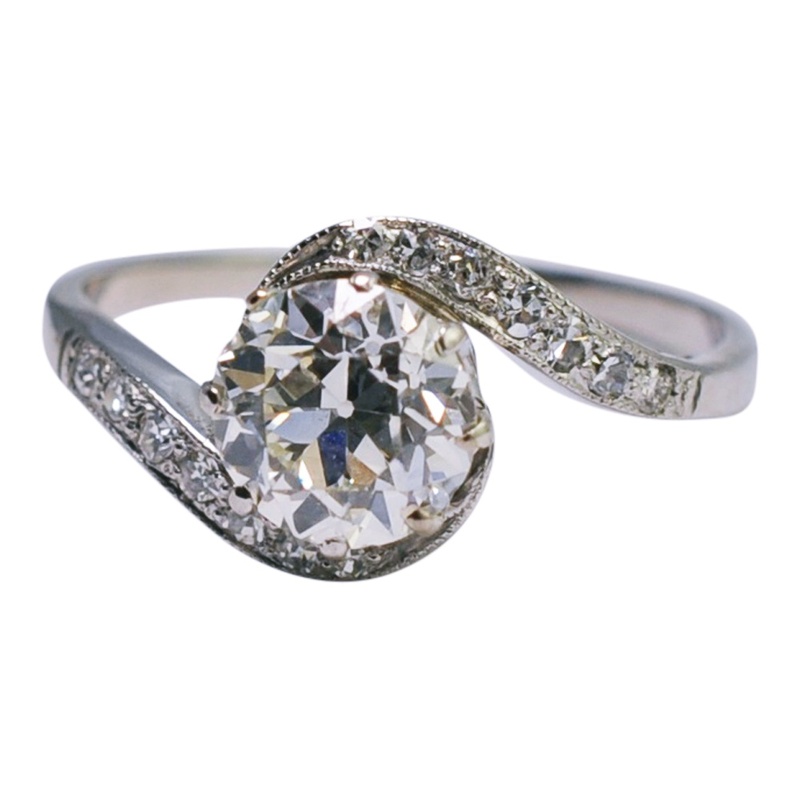 The engagement ring is set with an Old European Cut diamond weighing 1.02ct in a coronet style mount. The shoulders are formed of two wavy bands forming the “tourbillon” or whirlwind set with 8-cut diamonds totalling 0.12ct. 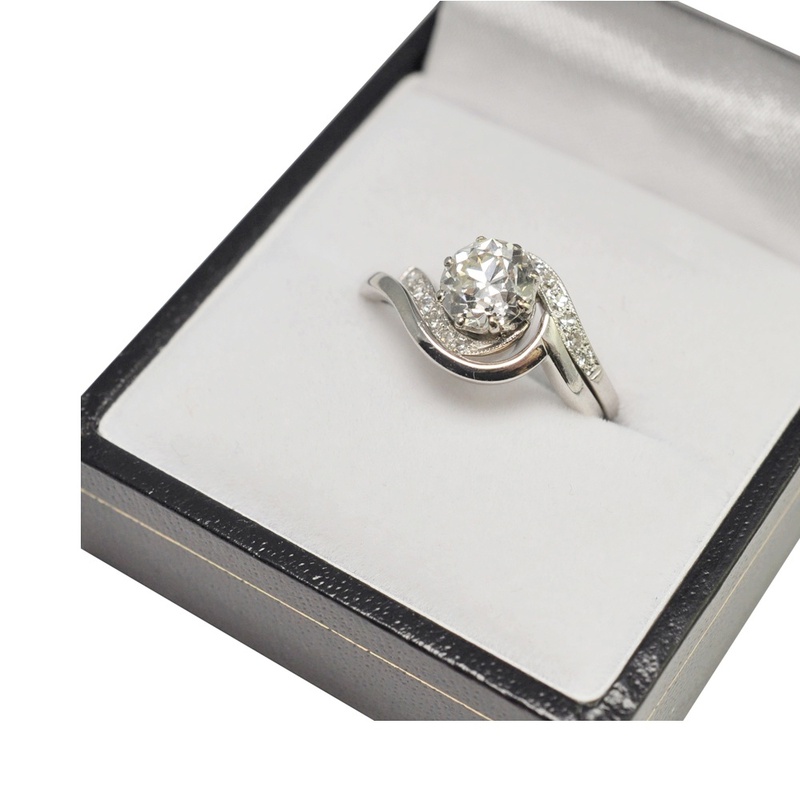 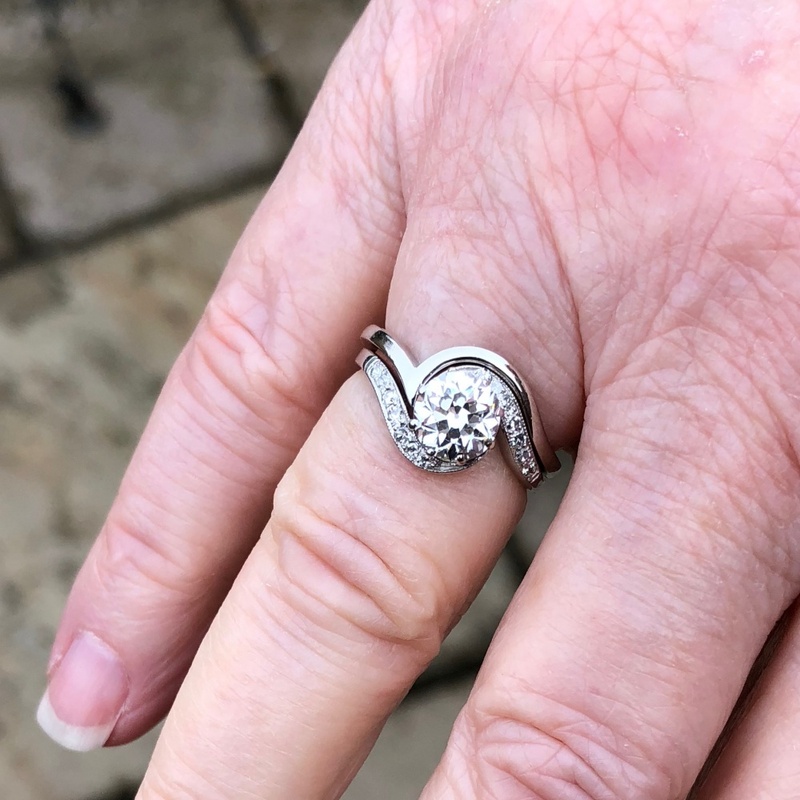 Tested as platinum; weight 3.0gm; depth 0.90cm; finger size K (UK), 5.25 (US), 50 (French), 10 (Italian) which we can resize for you if required. 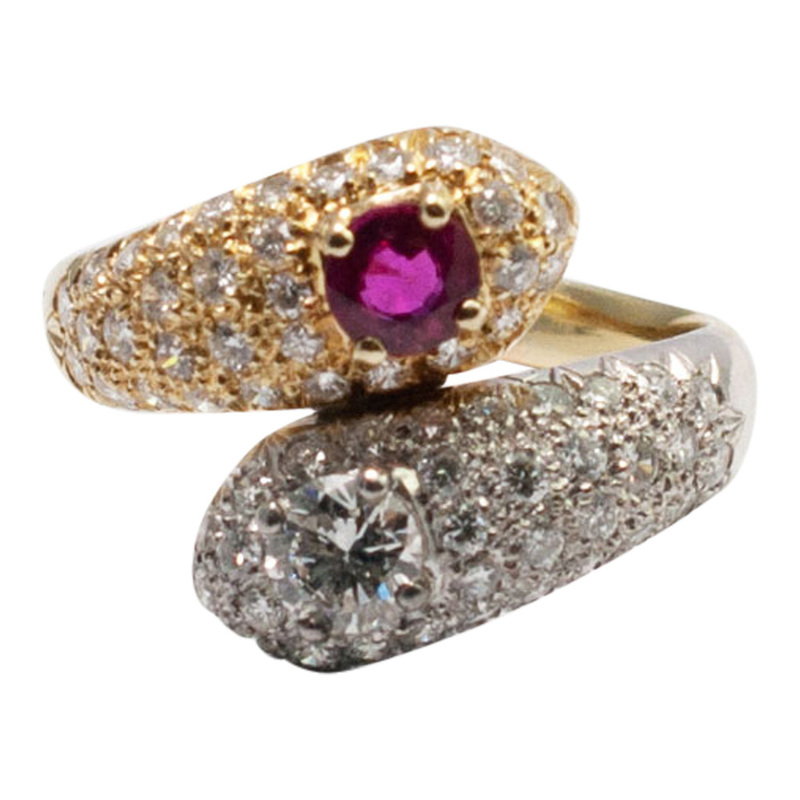 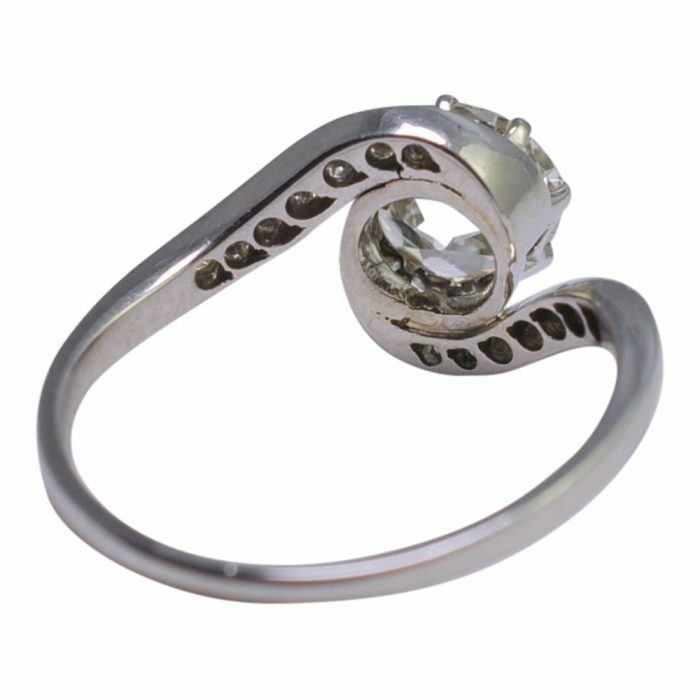 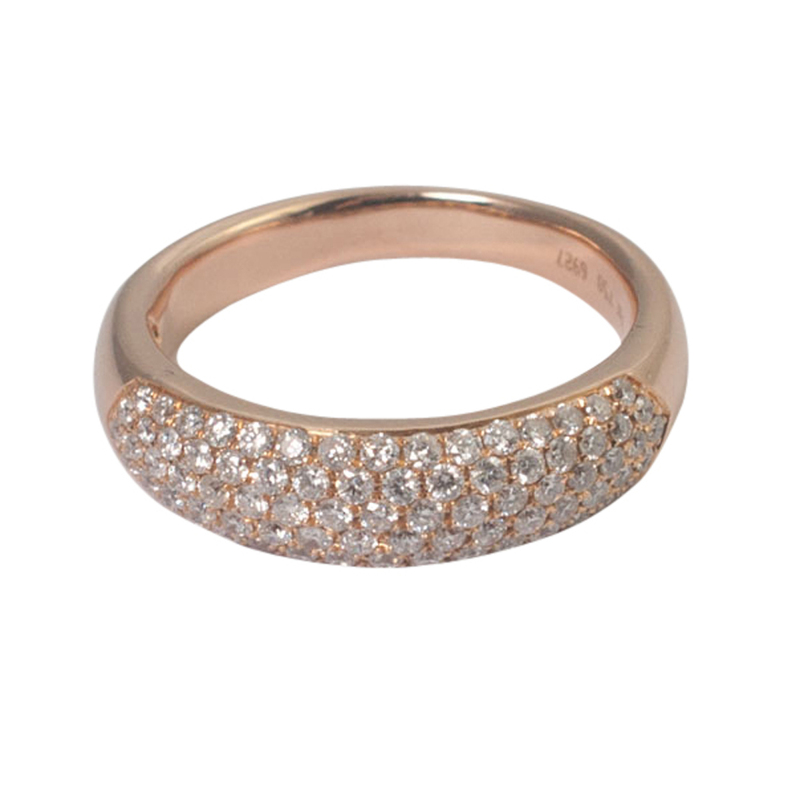 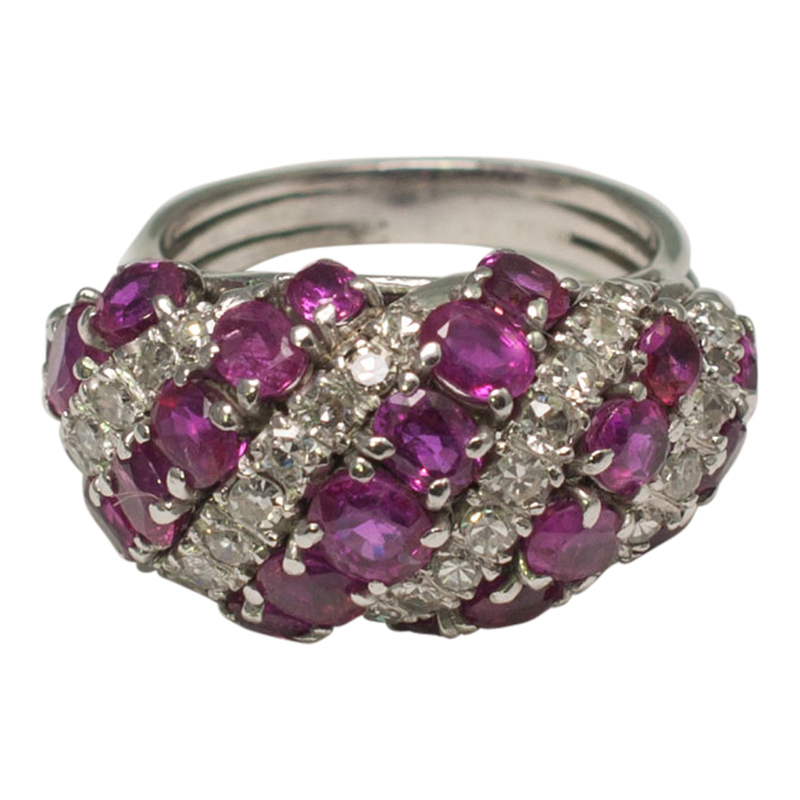 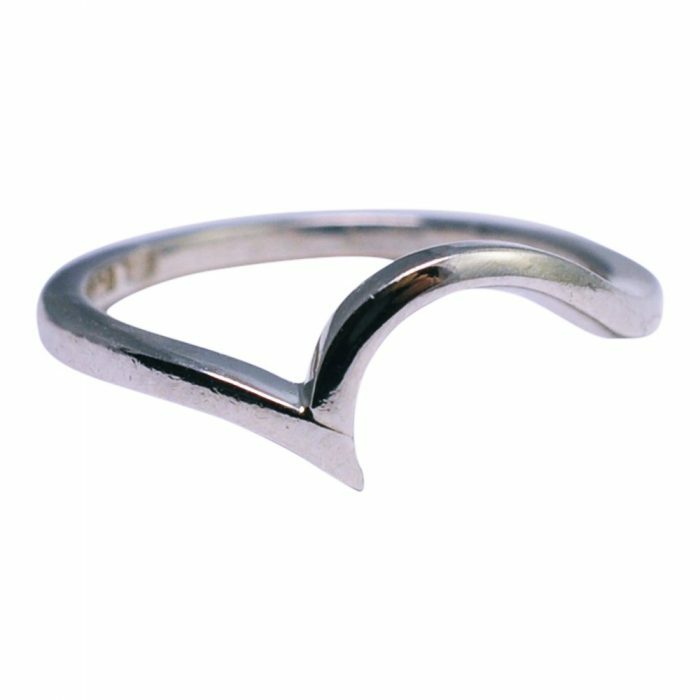 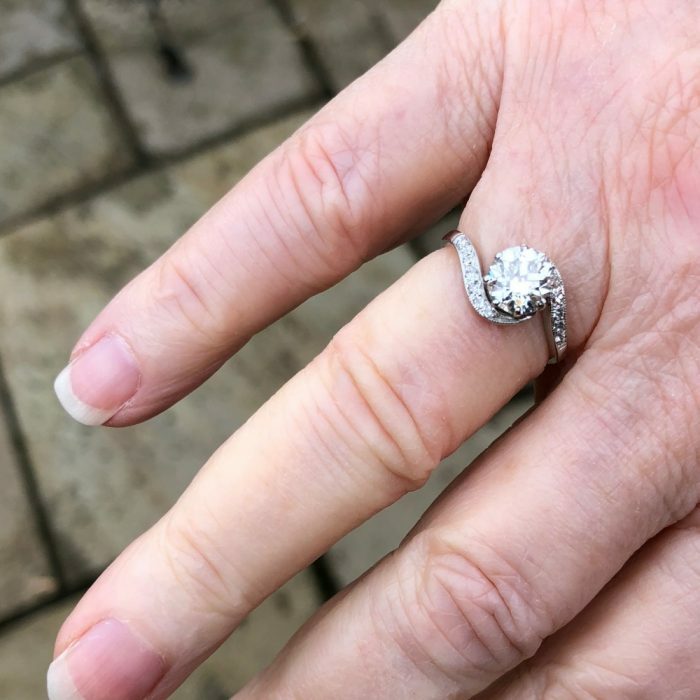 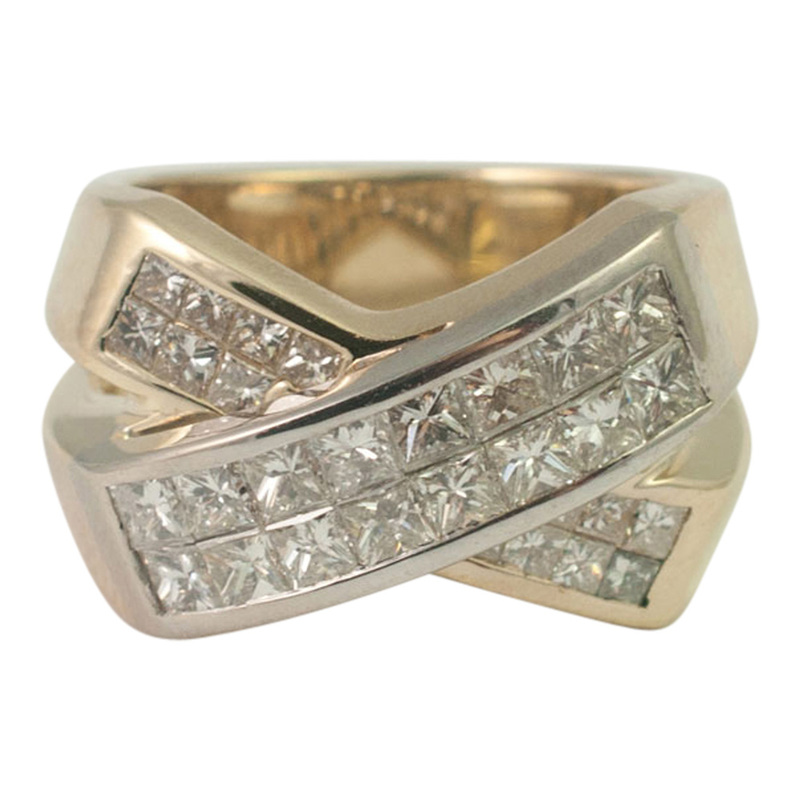 This ring comes with a matching platinum wedding ring (included in the price) which was made to go with it in 2000. 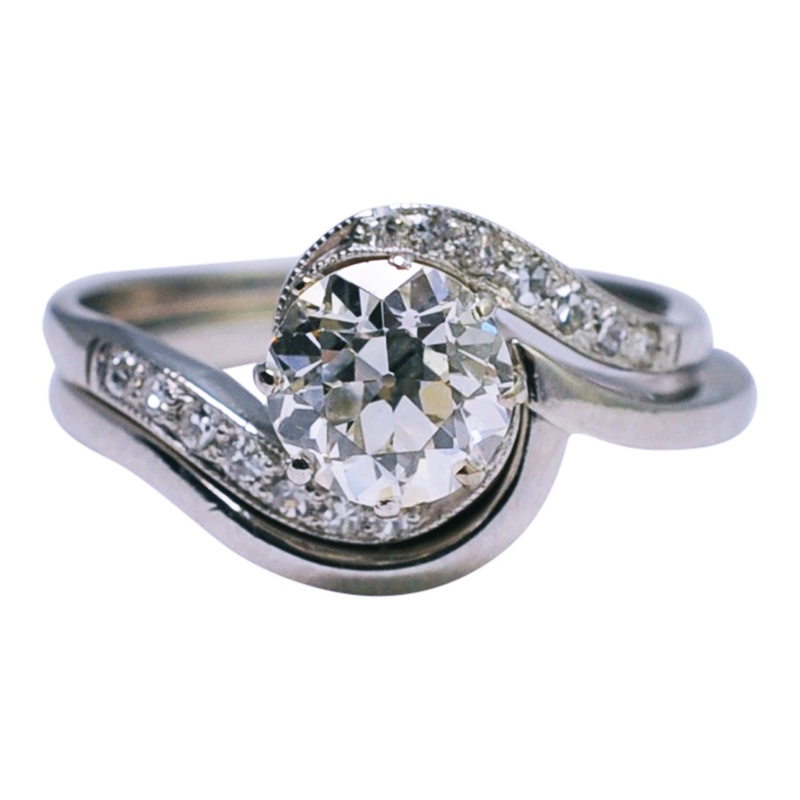 The wedding ring weights 2.9gms and is fully hallmarked with an English platinum mark. 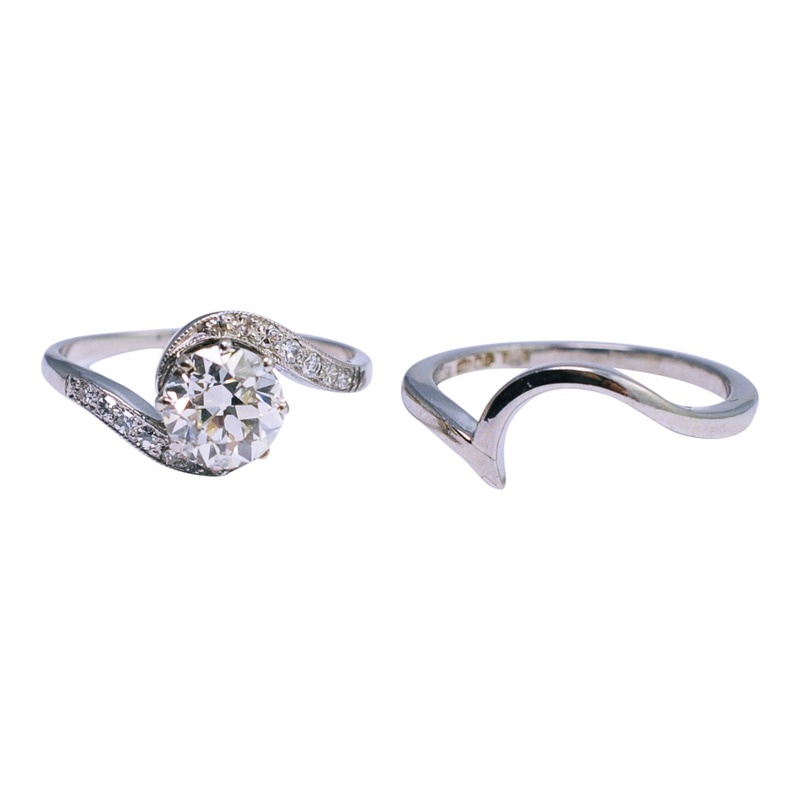 Both these items are in excellent condition and have been professionally repolished.